Boating on the Dutch canal in fishing village-Negombo. Diving in one of the largest natural harbors in the world - Trincomalee. Hot Air Ballooning in the area of Sigiriya or climb Sigiriya, evening to ride in bullock carts and boat ride in the town of Habarana. Spend the night in a tree-house. 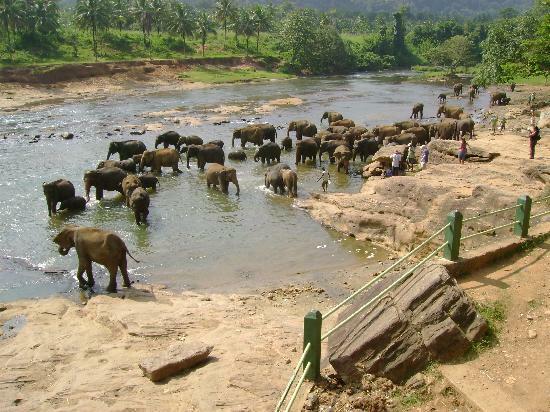 Visit Vaddas - Aboriginal tribe in Sri Lanka, to learn their way of life and culture. Rafting in Kitulgala - the best place to pump up adrenaline. Walking in the jungle, or biking. Climb the second highest peak in Sri Lanka - Peak of Adam. 2243m altitude and this is the best place to watch the sunrise in Sri Lanka. Riding the train to Nuwara Eliya and look at the panoramic view of tea plantations and waterfalls. A trip to Horton, a beautiful sanctuary, and visit "worlds End"
Jeep Safari in Yala Sanctuary.